We are modernizing the look of our website and materials to align with our forward-thinking approach and make sure all our audiences can access the information they need to work with us easily and efficiently. We have redesigned our logo, incorporating three circles to represent our three overarching goals: to advance scholarship, build economies and promote access to opportunity. Our new tagline, The Power of International Education, communicates our belief in the profound impact of what IIE does to advance these goals, together with our partners, clients, and donors around the world. The old logo, in Trajan, was more like a book title than a logo but, if anything, it communicated bookishness (and that, perhaps, the designer could not find where to change the leading). The new logo is unexpected and there is something very appealing and striking about adding one extra tittle between the two that belong to the “i”s but, at the same time, there is something awkward about it. I’m going to go with a glass-half-full outlook today and embrace the positive view. The logo seems to work better white on a red background, making the overlaps stand out more like a design element and less like a botched vector compound path. The applications look promising, especially when the logo is used huge or also when the overlap circles become part of the layout as in the footer of the website. Overall ii (sic) like it. Thanks to Natasha Lokhun for the tip. 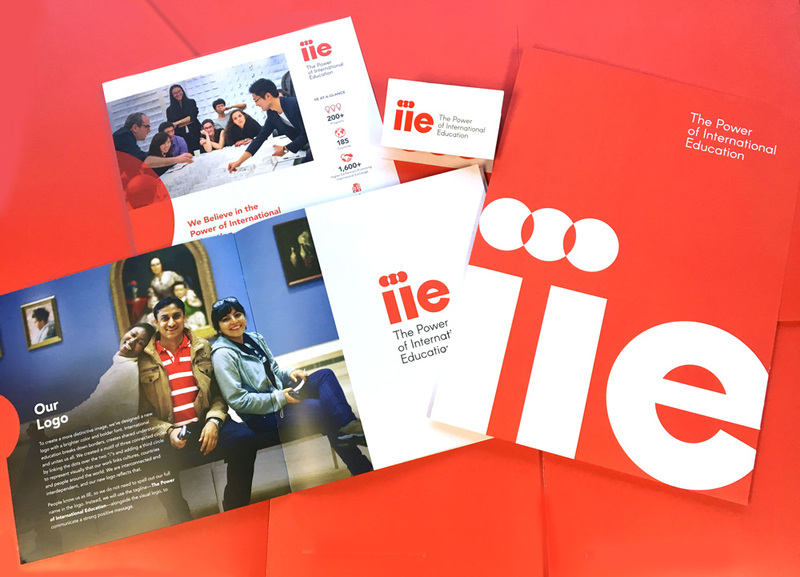 \"Founded in 1919, the Institute of International Education (IIE) is a private nonprofit leader in the international exchange of people and ideas. In collaboration with governments, foundations and other sponsors, IIE creates programs of study and training for students, educators and professionals from all sectors. These programs include the flagship Fulbright Program and Gilman Scholarships administered for the U.S. Department of State. IIE also conducts policy research, provides resources on international exchange opportunities and offers support to scholars in danger.\"